Here’s a quick hack for you today: Listen to your favorite songs and try to figure out what makes them appealing to you. What can you apply to your own playing? If you keep yourself open to inspiration and are willing to experiment, you may surprise yourself by creating something brilliant! 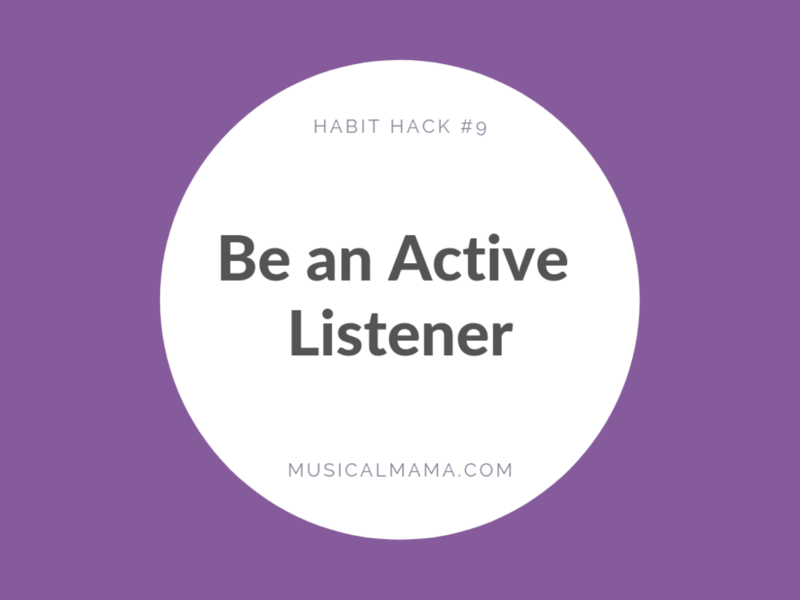 This week’s habit hack is one I use a lot. 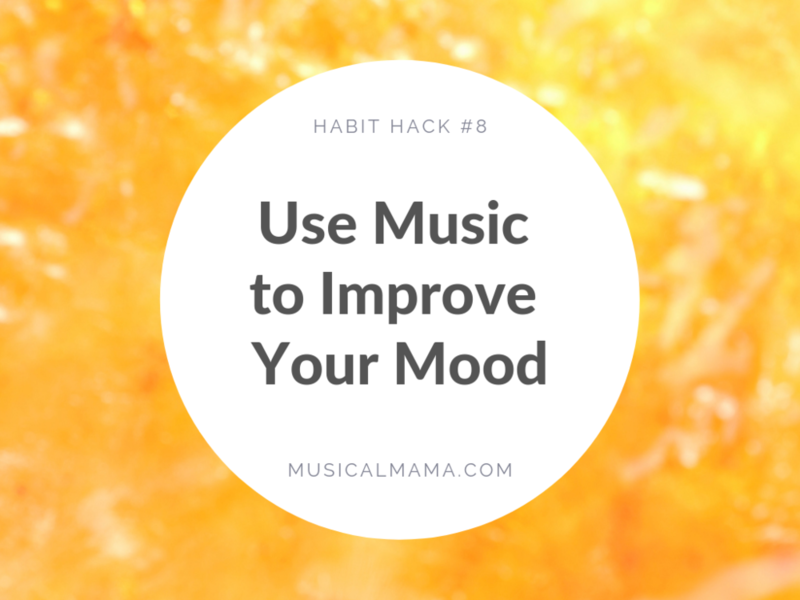 If I’m feeling grumpy, annoyed, or sad, I can usually lift my spirits by playing my ukulele or listening to some of my favorite songs. Music’s ability to impact our emotions is one of its most magical properties— why not take advantage of its power? The next time you’re feeling low, pick up your uke and play (and sing) for a few minutes. Or listen to some of your all-time favorite songs (maybe even a guilty pleasure or two!). Dance or sing along, and see how you’re feeling after a few songs. I’m willing to bet you’ll perk up a little bit! Keeping a steady beat is your primary goal when making music, but it can be a challenge! Beginning musicians often start out playing at a moderate pace, then gradually increase their speed over the course of a song. It’s only normal—one of the skills we must develop is the endurance to play for longer periods of time. Playing with an even tempo is just one more aspect of your playing that needs some attention, and playing with a metronome is an effective way to improve your consistency. Download a free metronome app on your smartphone or open this free one in your web browser. Enter in a reasonable BPM, put in your earbuds, and get strumming! Ukuleles are quite portable as far as musical instruments go, but there’s another instrument you’re always in possession of— your voice! So why not sing while you play? Every time you sing, you’re training your ear to hear the melody (even if you’re stumbling to find the right notes) and paying closer attention to your tempo. My own experience has taught me that a voice is like any other instrument—just as your uke playing can improve, so can your singing. So give it a try. You’ll probably have more fun if you do! One of the biggest challenges beginning ukulele players face is figuring out how to get in the habit of playing consistently. Tomorrow I launch a new weekly series to help with this issue. I’m calling it Habit Hacks, and every Thursday I will post tips to help you build and maintain a consistent ukulele practice (and I’ll explain why I refer to it as an ukulele practice). Check back here tomorrow for Habit Hack #1!